It will enable you, through the various functionalities proposed, to plan, collaborate and pilot your different projects with your teams. Create and organize your projects intuitively and simply. Numerous options allow you to customize your tasks, deadlines, budgets and teams. Your projects are really in your hands. 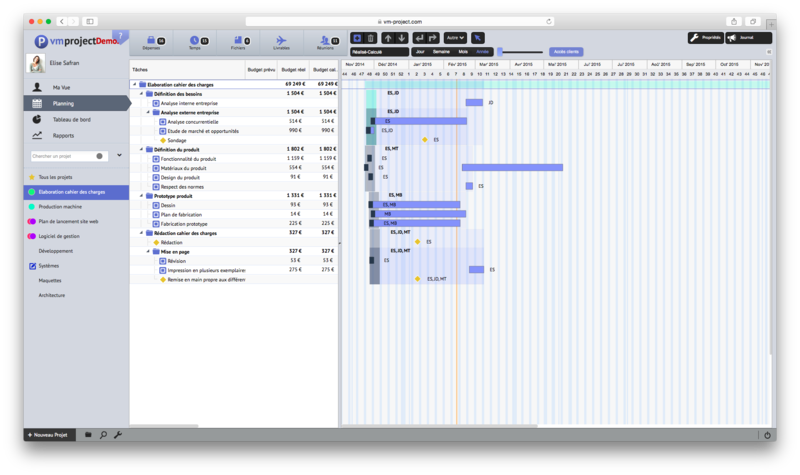 The planning tool allows you to create a Gantt chart that you can complete with constraints, resources, loads and much more. 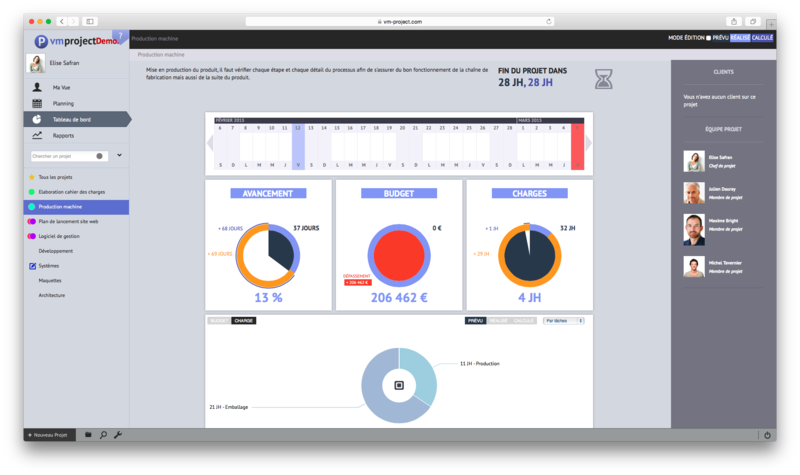 VMproject also allows you to follow the progress of your projects in real time and with precision. Access all of the information available from your logbook, whether it's a new employee, a timesheet, or even a meeting report. You will always be informed of the status of your project through email notifications that you can activate or not. A projection engine specific to VMproject enriches your diagram by allowing you, with advanced calculation algorithms, to estimate with great consistency the progress of your project, using the existing variables. VMproject will take into account the time you have planned for a task and the actual pace at which you propose a time projection to help you estimate the time remaining before completion and any delays or advances caused by existing variables. 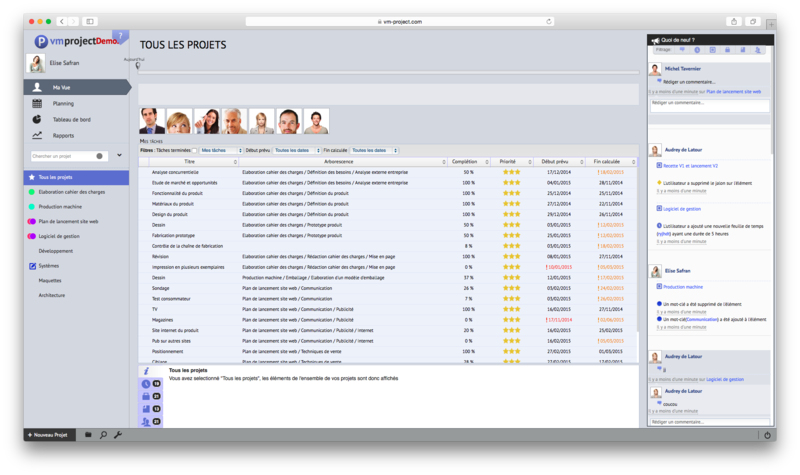 Save time and efficiency in your project management.